I woke early this morning, eager to get on my way to Tripp Pond at Messingham Sands near Scunthorpe. 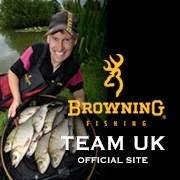 This is without doubt my favourite lake at the complex as it offers great fishing with such a wide variety of different species. 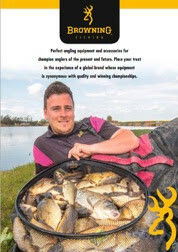 The emphasis is not just on Carp, the lake has a massive stocking of silver fish including Crucians, Skimmers, Tench, Goldfish, Chub plus F1's. This pond is also a float only venue, which I think is a great idea as it makes it fair for everybody. 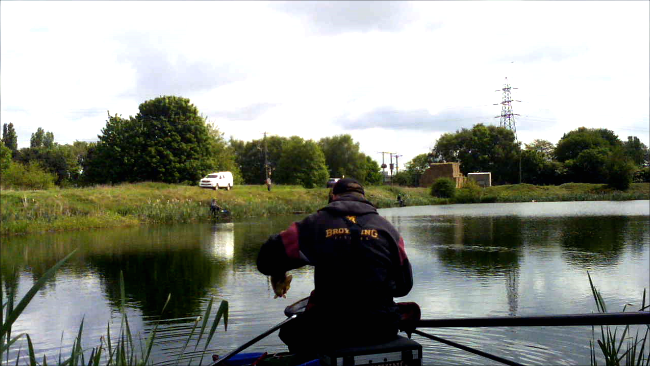 Peg 10 graced my hand today and so my plan was to be a three pronged attack, as this has served me really well in previous visits. My main line of attack was at a top 2 plus 3 distance, as this is one of the shallower areas of the lake I had around 6 feet of water at this length. My second line was a shallow line at 13 meters. I planned to fish this as their are plenty of fish showing shallow. 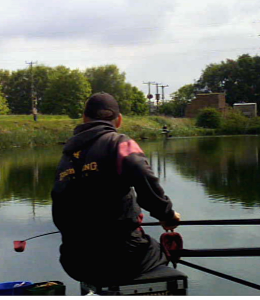 For my third line I used a margin line to my left hand side, as the margins are reed lined this is usually a great place for big fish late on in the match. For the top 2 plus 3 line I fed fishery 4 mm expanders and fishery micro's as well as applying the same expanders for the hook; this is an approach I have utilised for many years at this venue! On the shallow line I fed 6mm fishery feed pellets and used the same pellets on the hair rigged band. For the margin line I fed loose groundbait and fish sweetcorn over the top. Shotting - Bulk, set just above the hook length. I started by potting in half a large pot of micros & expanders, mixed together on the top 2 plus 3 line. I baited the hook with a 4mm expander and shipped the rig to the desired spot. I lowered the rig in slowly (this is something that I do at most venues, as I think it presents the bait with a natural look). The float hardly had a second to settle before a tiny tap on the float was then followed by the float disappearing. The fight was instantly recognisable, the initial dogged fight followed by the fish swimming in circles. Yes you've guessed... a Crucian and a decent one at that, round about the pound mark. For the next drop in I loaded a pole mounted kinder pot with expander pellets, this is what I planned to do after every fish. I shipped out, tipped the expanders in and lowered the rig in slowly over the top. The response is again was instant, this time a Skimmer was soon safely in the net. The following 2 hours were pretty hectic with small Crucians and Skimmers coming a rate of knots. I had a quick look on the shallow line as I had been regularly feeding this from the off by feeding 6 pellets via a catapult every 40 seconds or so. Unfortunately this line only produces 2 small Roach in 10 minutes, so I abandon the line to concentrate on the 2 plus 3 line. I put a third of a pot of micros and expanders in again to keep the fish grubbing about. The proceeding hours are quite steady; I am still catching every drop in, but not at the same rate as the first 2 hours. Crucians and Skimmers were still the main stay of the catch. I then coasted an eye over the margin line, as I fed 3 full pots of loose ground bait plus a few grains of corn probably 20 minutes beforehand. 3 big Crucians in 3 drops was a welcome bonus before I latched into a "Big Zoo Creature" that dragged me straight through the reeds and left me with my hook stuck into the root of a reed.... Bugger!!! I re baited the margins with a couple of pots of ground bait and switched back to the 2 plus 3 line. I caught a few more Crucians before the urge to have another look down the edge got the better of me!